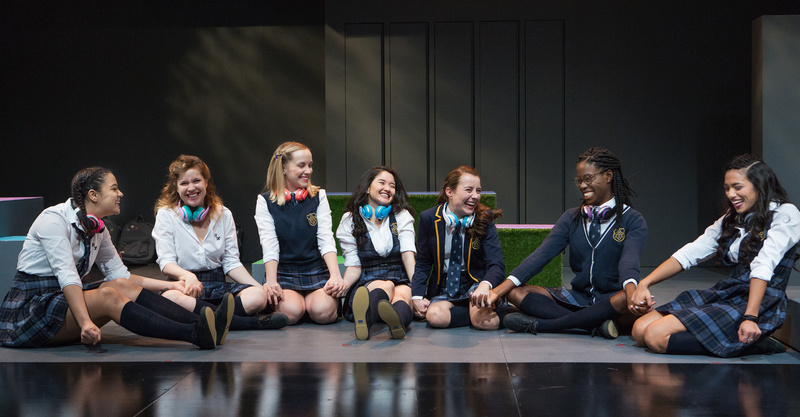 Evan Placey’s Girls Like That was one of the most surprisingly polarizing pieces of theatre mounted in Toronto last year. It prompted reviews that ran the gamut from 0.5-star to total raves (mine was more certainly the latter) and inspired an incredible online debate about authorship, criticism, and subjective reaction. As written, the play is very fluid with no defined characters. 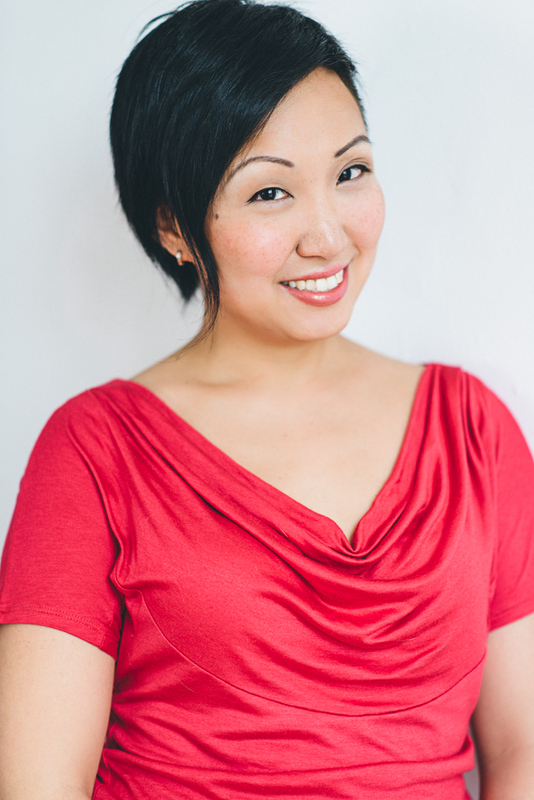 Director Esther Jun took Placey’s gaggle of ideas and turned it into a tight, funny, deeply moving piece that brought together a remarkable ensemble of young actresses and earned Esther an Outstanding Direction nomination. It was at the Citadel in Edmonton when I was in junior high. Teens were doing short plays by people like Brad Fraser. It blew my mind- kids my age acting, talking about things I was going through, in front of me. I had never experienced live theatre before. I have several. Shakespeare and Musicals are top of the list right now. You were the original Janet in Kim’s Convenience. How do you feel about that play’s legacy and where it’s gone since the Fringe back in 2011? I am extremely proud of the show and everyone involved. Kim’s broke barriers in so many ways and I am happy to have had a small part in it. The people involved have such integrity, they continue to inspire me. They deserve all the success. Tarragon was interested in Evan Placey’s work and Richard [Rose, Tarragon Artistic Director] asked me (I was the Assistant AD at the time) to read Girls Like That. There were several of Evan’s scripts we were interested in but Girls stood out for us. The opportunity to have such a large cast of young women telling this story on Tarragon’s stage was so enticing. How did you approach casting the Outstanding Ensemble-nominated performers, especially considering the characters aren’t pre-defined by the play on paper? The monologues were the starting point. I looked for actors who could bring strength and vulnerability to the monologues and then we did group auditions to see who worked well in an ensemble. Needless to say, the one element of the show I am most proud of is the cast. The dance numbers are in the script, although I changed 2 songs. They really help illustrate the effect pop culture has on young girls but also revealed the journey the girls were going on. They were fantasy numbers and Alyssa Martin is the perfect choreographer to work with on such fantastical story telling. I gave her pretty much free rein, and when we starting running, we really worked on integrating the numbers within the story of the play. Each dance tells a little story and ties the whole play together. For a lot of women, the play felt extremely personal. What were some of the ways you and the cast brought your own experiences to the material? In a piece like this, there is no way NOT to bring your own experiences in the room. We discussed every moment of this play in relation to our own lives. Considering the speed at which technology evolves the issues in the play, did you do much research into the experiences of teenagers today compared to when you or even your young cast were in high school? Yes, but also technology (and teenagers) evolve so fast, we just placed the play in a specific year (2016) so we weren’t constantly doing tiny updates to the play. However, the issues in the play are universal, not much has changed in the highly charged world of high school politics, so technology is not as important as one would initially think. The reaction from our high school groups were across the board positive and enthusiastic. They felt we presented an accurate portrayal of life in high school and saw themselves and their friends on the stage. Many found strength in Scarlett’s realization that high school and your order in it, does not define the rest of your life. The Gamblers, by Gogol at Talk is Free Theatre in Barrie. Moving into the world of card sharks and conmen, so delicious and fun.